The current Corsa, shown, is Opel's best-selling model. MADRID -- Opel and its Spanish unions have reached an agreement on worker conditions at its Zaragoza plant after threats by owner PSA Group to cut investment at the factory that builds the Opel Corsa. Union sources said late on Monday that an accord was reached after more than 12 hours of negotiations and shortly before a deadline set by PSA. No details were immediately available on the agreement although the local newspaper Heraldo said it included a five-year pact including salary freezes for this year. The Zaragoza plant, which has been operating since 1982, employs about 5,300 people and was running at 80 percent capacity in 2017 when it made 382,250 vehicles. Besides the Corsa, the factory builds the Crossland X and Mokka crossover sold by Opel and the Citroen C3 Aircross, according to Automotive News Europe's car assembly plant map. 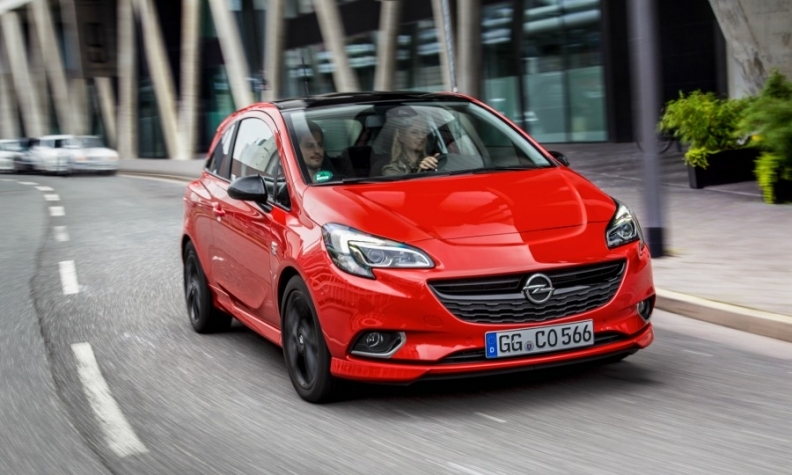 The Corsa is also built in Eisenach, Germany. Production of the Adam minicar is due to move to Zaragoza from Eisenach next year. Eisenach will then start building the next Mokka X successor. PSA also has a factory in Vigo, on the northwestern coast of Spain, and a smaller one outside Madrid where production is running at well below capacity. PSA employs about 13,000 people in Spain. PSA, which acquired Opel from General Motors last year, has said that the Zaragoza factory is less competitive than its other two plants in Spain due to higher wages, lower hours and lower flexibility. Last year, European sales of the Corsa, Opel's best-selling model, fell 12 percent to 231,334, according to data from JATO Dynamics. As it looks to ways to return Opel and sister brand Vauxhall to profit, PSA is cutting jobs at Vauxhall's Ellesmere Port plant in England, which builds the Astra compact, to improve its competitiveness. PSA CEO Carlos Tavares said in September that PSA factories appear to be more productive than plants operated by Opel/Vauxhall.